Jon Hart luggage meets all your travel needs with quality and style. 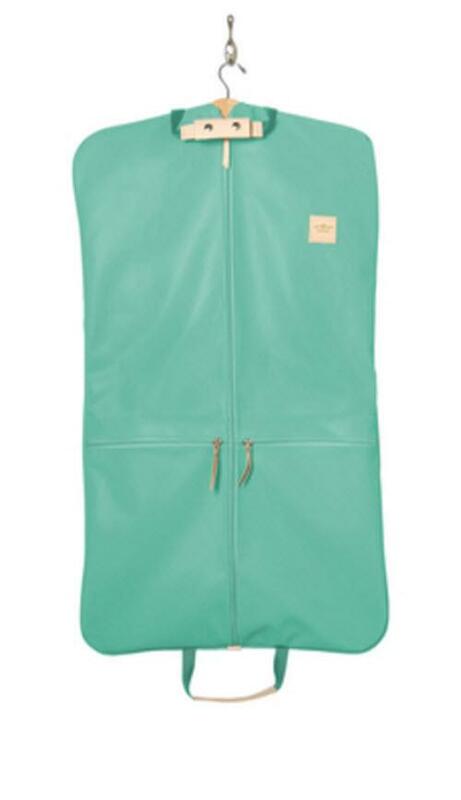 Monogrammed Garment bag is durable canvas with leather trim. 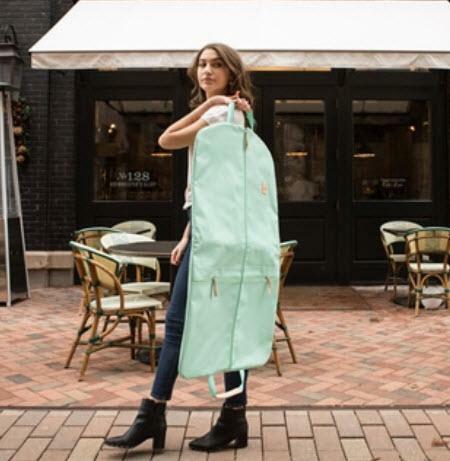 Comes in 16 canvas colors.This gorgeous Monogrammed Two Suiter Canvas with Leather Trim Garment Bag is perfect fr any quick trip! It holds two shirts and two suits. Two zippered pockets holds the rest. We have personalization located on a leather tab situated on the top right corner of the bag. Monogram is done by heat stamping or foiling. Foil ink colors are silver or gold. If you choose a 3 letter monogram ( JMJ) its all caps or you can choose text up to 11 characters ( Smith), or our newest traditional monogram style with the last name larger in the middle. 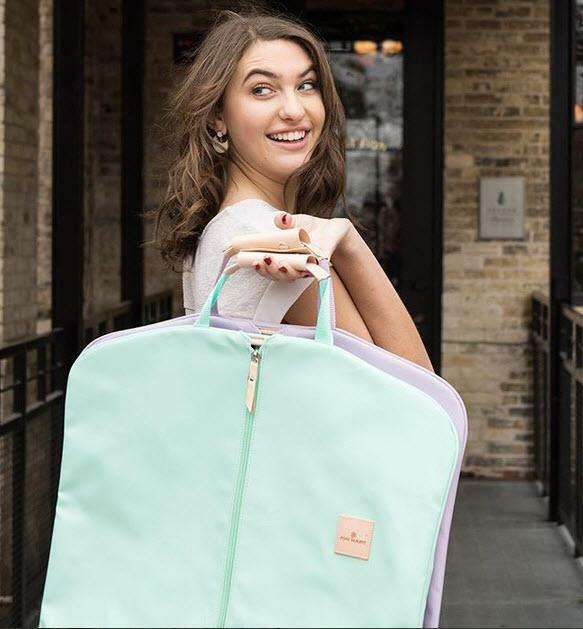 Makes a great graduation gift when paired with other John Hart Monogrammed Luggage. Newlyweds love new luggage for their honeymoon too! When only the best will do John Hart is here for you. Price: $222.00 In stock! - Browse this brand: Jon Hart DesignOur products are custom made to your specifications. This product ships up to 4 weeks after your order is placed.